Brian and Stephanie met at a bar. From there, their relationship spun into a whirlwind of a romance and the two fell in love exploring the world together. 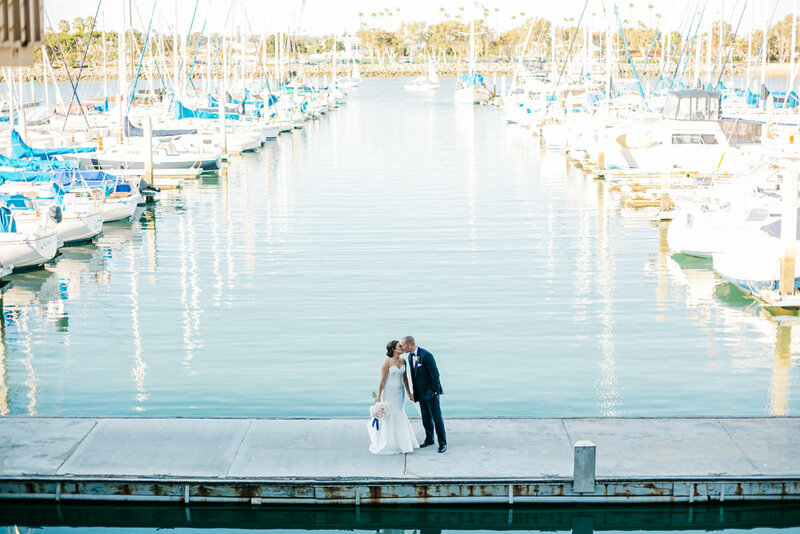 They were engaged at the very bar they met and married on a warm autumn day in November in San Diego. The Ring: Stephanie is wearing a beautiful GIA certified 1.13 carat Eighternity Diamond surrounded by a delicate halo that keeps the spotlight on her center stone. 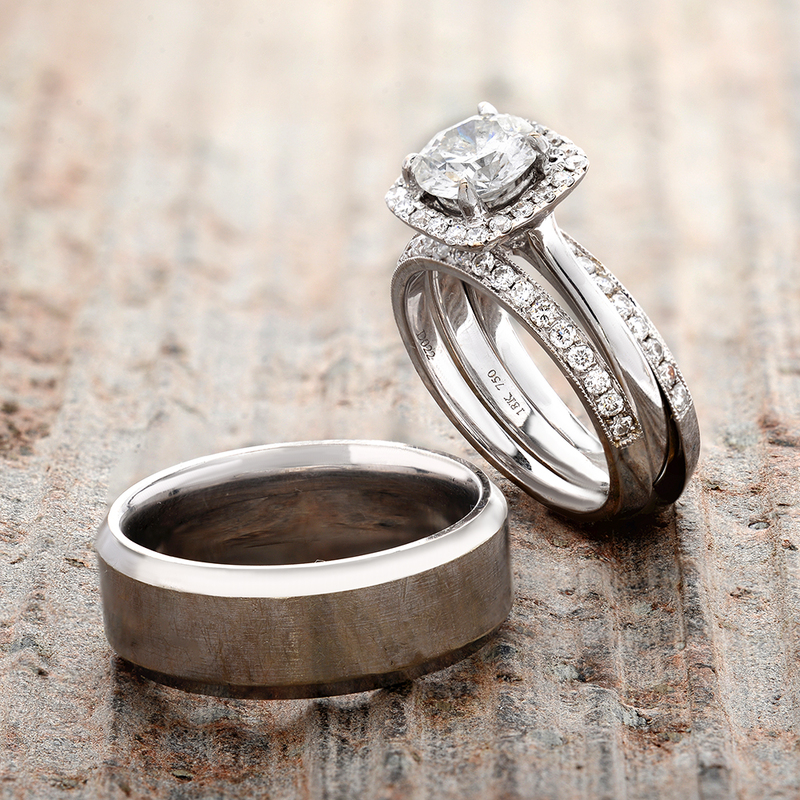 Her set of two wedding bands perfectly compliment the simplicity and elegance of her engagement ring. Stephanie also picked out a white gold Diamonds by the Yard necklace to wear on her wedding day. Brian has stayed true to tradition with a classic, white gold, comfort fitted wedding band with a contemporary satin finish.